Matcha in Mexico, bought it with me! If you follow me on Instagram, you already know my obsession with matcha. I love matcha because of the taste, but there are tons of health benefits as well. I switched off daily morning coffee years ago to support my nervous system and adrenal glands (HPA axis). If I was in fight or flight all day for work, why would I want to consume a beverage that pushes me further into the sympathetic nervous system. I now drink matcha, feeling calmer and more grounded. Not sure if you’re being impacted by stress? See this blog post, I’ve included a checklist for you! Very high in antioxidant EGCG (catechins) which contains cancer fighting compounds. Catechins are known to fight the effects of free radicals from pollution, UV rays, radiation, and chemicals, which can lead to cell and DNA damage. There is some literature that matcha is liver protective. I love supporting the liver as it has over 500 functions and impacts every area of the body. When we improve and support our detoxification pathways we rid the body of toxins and waste. Of course, this is just one item to include in your day of healthy eating. L-Theanine is in matcha and this leads to alpha brain wave activity which leaves us feeling relaxed and less stressed. We stay alert, but also avoid any caffeine crashes. Basically, the opposite of how coffee makes most people feel; anxious and jittery. This is also beneficial for our blood sugar levels, energy and weight. There is some research to suggest matcha helps lower LDL, the cholesterol level we often monitor in relation to HDL. A perfect drink to support a healthy heart! It’s very important you use good quality matcha as it impacts the taste and likely the health benefits. I use organic matcha and I usually order from Soar Organic (not sponsored). This recipe is for non traditional matcha, however if you prefer that way ensure your water isn’t too hot, max 180 degree on the kettle. If you don’t have a kettle that tells you the temperature, bring to a boil and then let cool. 1 tsp quality organic matcha, grade up to you. I save ceremonial for hot water and use everyday with nut milks. 1 cup unsweetened nut milk, if using store bought, I like Califia unsweetened vanilla almond milk. Homemade is always the thickest and free from fillers. My favourite is probably walnut milk! I’ve never found the need to add sweetener, but since I’ve done my own DNA testing I’ve learned I have a gene variation and things that are very bitter for others, aren’t that bitter for me. If you feel you’d like some sweetness, add a dash of ground vanilla or maple syrup. If using water, make sure it doesn’t get too hot and burn the matcha leaving it bitter. Any questions pop them into the comment section! 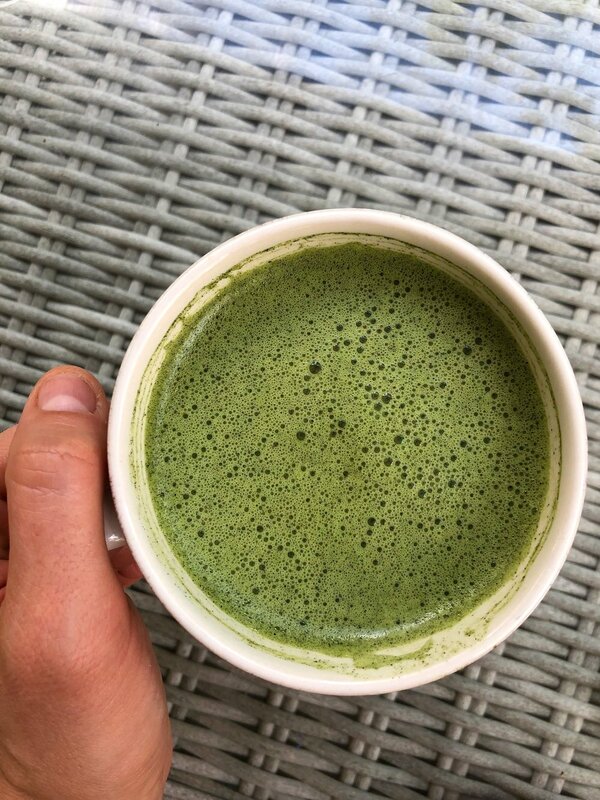 What’s your favourite matcha recipe?